AMA / Gemini Group, Australia’s No. 1 auto body repair chain, has joined a collaborative research project that is making use of 3D printing technologies and robotics in rapid car repairs. The $1.2 million project, which is led By Swinburne University and industry partner Tradiebot Industries, aims to enable a low-cost rapid repair service for automotive plastic trim and assembly components that can be commercially implemented in a same-day fix of vehicles damaged by collisions. Roboticist and Swinburne Senior Research Fellow, Dr Mats Isaksson welcomed AMA / Gemini Group as a valuable addition to the collaborative research project. “My team and I look forward to the added depth and industry knowledge that AMA/ Gemini Group will bring to the project,” Dr Isaksson said. Dave Calder, Corporate General Manager, AMA / Gemini Group said the partnership will use 3D scanning, robotics and additive manufacturing to digitize and analyse large plastic car parts and generate an automatic fix. 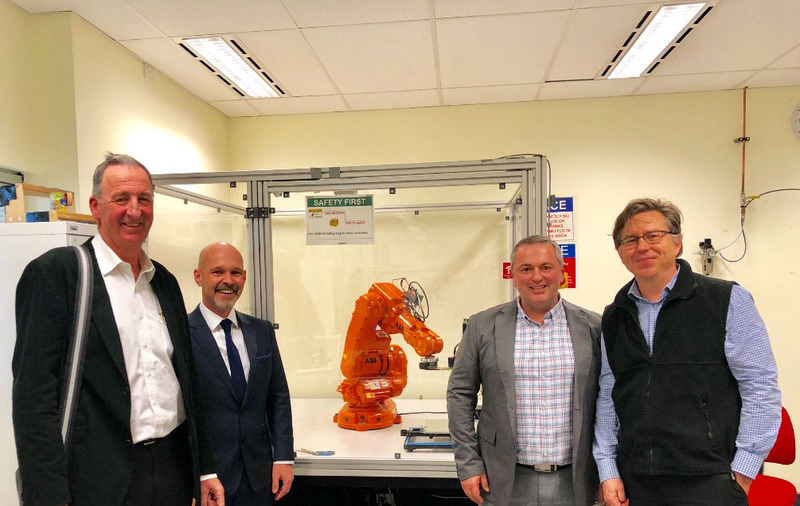 “Innovation is core to our business and we are delighted to be collaborating with the leaders in this space, Swinburne and Tradiebot Industries,” Mr Calder added. In Australia alone, the automotive vehicle repair industry generates more than $15 billion each year.